THE multi-million dollar Royal Commission into Institutional Responses to Child Sexual Abuse has held 1677 private sessions and received 1632 written accounts since being established last year. The commission's high-anticipated interim report revealed more than one in four child abusers have been members of the clergy or other religious organisations. The report, handed down this week, also revealed there had been allegations of child sexual abuse at more than 1000 institutions across the nation. So far the commission has held 13 public hearings investigating allegations at a number of institutions including the systemic failure at a Toowoomba primary school which resulted in a teacher abusing 13 young girls and the Salvation Army's response to child sexual abuse at boys' homes in New South Wales and Queensland. 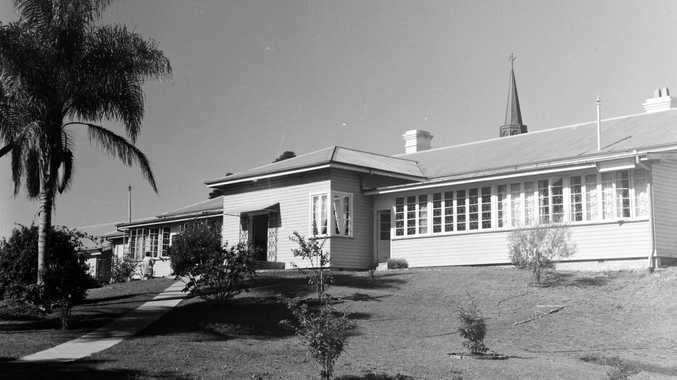 The commission has also investigated the Anglican Diocese of Grafton handling of complaints and civil litigation surrounding abuse at the North Coast Children's Home in 2006 and 2007. Commission chair Justice Peter McClellan said in his report more than 160 allegations had been referred to police and some participants in the processes had indicated that they will make an independent report to the police. "For many, the opportunity to tell their story can be an important part of the recovery process," he said. "They provide information that helps us to identify systemic issues and institutions we should consider in public hearings, research and consultation processes." He said it took victims on average 22 years to disclose the abuse with men taking longer than women. "We do not yet know how prevalent abuse has been or continues to be within institutions," he said. "In an attempt to understand the prevalence of abuse our research program is compiling data from the police, child protection agencies, education departments and other bodies. "Although many instances of abuse reported to us occurred some years ago, the information we have gathered, and the public hearings we have conducted, confirm that abuse remains a contemporary issue." Justice McClellan said the commission would require an additional two-years to complete its task and had identified a further 70 areas that require public hearings.